The amazing Taichi Keaton works on cases around the globe that always lead to adventure! He combines his arsenal of multidisciplinary expertise in investigation, archeology, and survival with his experience as a professor, a Falklands Conflict veteran and a SAS agent to unravel the often dangerous challenges in each riveting episode. In this volume, he rescues the beautiful Sofia from a gang of thugs in Greece, then works with bounty hunters to locate a terrorist in Germany. Later, after he escorts the heir to an Italian fortune to France, he meets an "immortal" being chased by the Russian mafia in Poland, and finally returns to Paris for an emotional reunion! 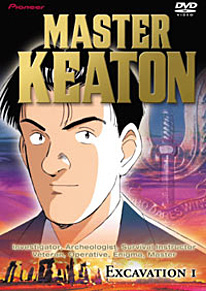 DVD Features: Opening and Closing animation and a "Hidden Feature".